Are you held captive by the mistakes of your past? Are you allowing your history to dictate your future? Have you yet to walk in your purpose? Do you know deep in your heart that you are unfulfilled with the life you currently live? Vanessa offers her tremendous testimony of triumph over trials with the hope that you will take what you learn from this book and move forward with a life of fulfillment and purpose. 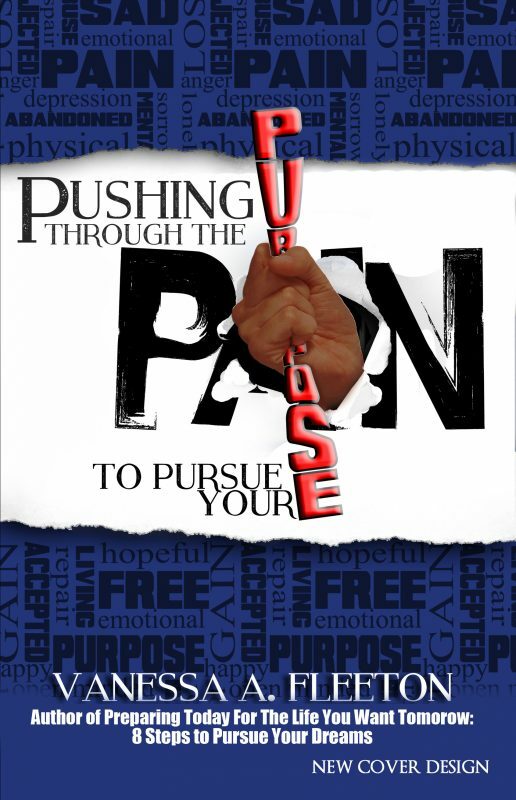 In this book she will share her journey from pain to purpose with you! Hey Vanessa Fleeton. Thanks for accepting my friend request. Read your book and love it! It will help me write mine. Thanks for the positivity and motivation! My boyfriend presented your book to me. Thanks again and I hope that you are enjoying your Sunday! I started reading your book today! It's going to be very relatable to a lot of people. It's worded very very nicely and the detail and descriptions are perfect. It's going to be a great inspirational read. WOW! Thank you so much for having the courage to push through your pain to pursue your purpose by writing your story. I would read your book on my way to work in the morning, which would give me inspiration to deal with whatever may come my way for the day. While reading your book, I found myself in some parts of the story. I will take what I have learned from your teaching within the book and pursue my dreams and hope to find my purpose, or listen to my heart and do what it feels. I wish you much more success in your future endeavors. May God continue to bless you & your business - VAF! When I first started reading your book I saw that you had mentioned that it was written mainly for women. But after reading it I realized that a lot of the topics were mutually beneficial to both sexes in the Church. Especially, the celibacy piece which a lot of men struggle with in Church before they are ready to settle down and also the issue of divorce in the Church. It seems like a lot of men and women who have been thru that have learned to appreciate singleness better while also having a better insight on how to seek Godly character qualities in their next potential mate. You shed some good light on that in your book as well. I haven't seen that before so I'm sure your going to get a lot of compliments from people you never thought of. I finished the book today. I thought it was well written and a great testimony of your journey. I found it very insightful and it helped me with the demons that I fight daily. I particularly enjoyed the helpful hints / pointers on how to "push through the pain". Again I am very proud of you and look forward to next your work. I encourage you to read the book and then re-read it. Vanessa will inspire you to live your dream as she has done. Follow her example and listen to her story, it will empower and inspire you. So, enjoy this book and after it inspires you, tell your friends to get a copy, because friends don’t let their friends live anything less than their best lives! Vanessa A. Fleeton is Founder of VAF Inspires, inspirational speaker and author. Ms. Fleeton is passionate about helping others push through the obstacles of life to pursue their purpose and pursue their dreams. She is author of Pushing Through the Pain to Pursue Your Purpose and Preparing Today For the Life You Want Tomorrow: 8 Steps to Pursue Your Dreams. At the young age of forty-six, she retired from the Federal Government to pursue her calling full-time. Vanessa is the 2016 recipient of the Entrepreneur of the Year and the 2015 recipient of the Metro Phenomenal Woman award. She is a two-time college graduate and has spoken at various organizations. 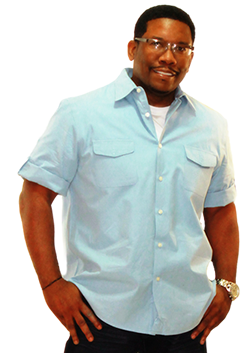 As a Radio One, Inc. radio personality/co-host, she realized her gift and love for speaking.